So, this is Barrow to Jarrow, another rhyming coast to coast, starting this morning at Barrow-in-Furness at the southwest extremity of the Lakes. 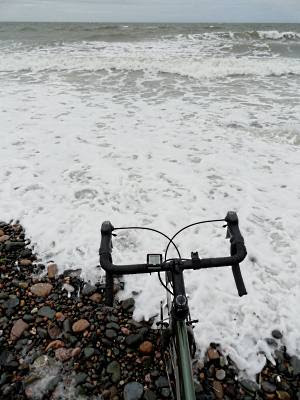 I dipped my wheels in the tetchy surf on a windy pebbly beach on Walney Island (picture). Barrow is, of anywhere in the UK, the place most people want to get away – in the 2011 census it showed the quickest population drop. So I went with the flow and left sharpish for a better life. 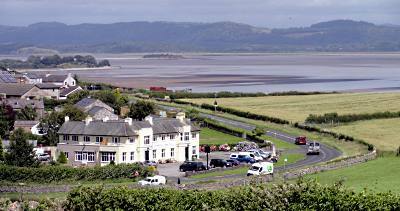 Specifically, the coast road to Ulverston, looking majestically across those vast and lethal sands of Morecambe Bay (picture). A tailwind and unforecast sun made things very pleasant. Ulverston styles itself ‘the friendly market town’, and friendly it certainly was. 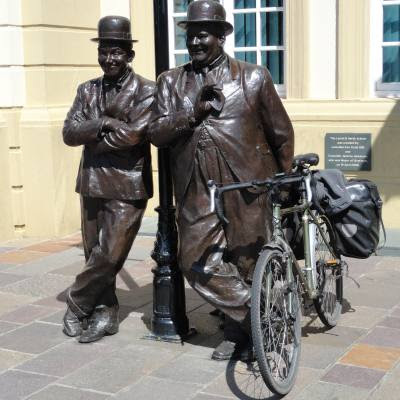 A local lady asked me if I realised my bike was in the picture (picture) I took of the statue of Stan Laurel, Ulverston’s most famous son, and his sidekick Oliver Hardy. Yes, I reassured her. Another friendly local with a can of Tennents asked me if I realised he would be glad of any spare change I might have. Yes, I reassured him. I do realise. But I’m certainly not giving you any of it. So piss off. 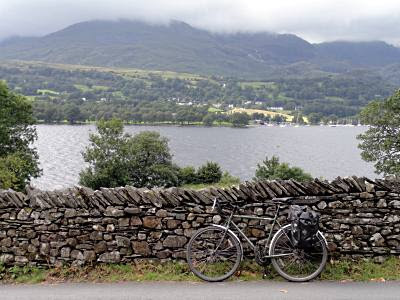 From there was some wonderful lakeside cycling (picture) along the east shore of Coniston Water, famous as the venue for Si’s stag party, to Ambleside. 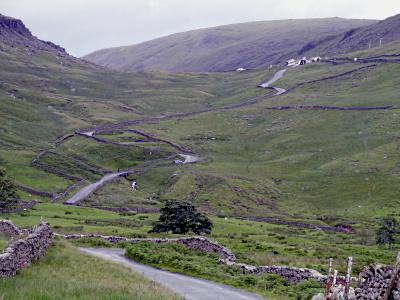 And from there was the slog up Kirkstone Pass, the highest in the Lakes, imposingly called ‘The Struggle’ (picture). They’re darn right. Even with a twenty-ounce high-end road bike – as toted by three keeno cyclists who passed me on the Pass – I’d have a Struggle. 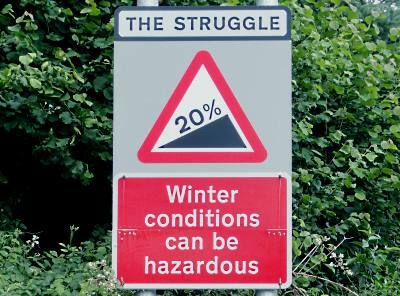 On my twenty-kilo tourer with even more than that in my panniers, I hadn’t a hope in Helvellyn. So, Kirkstone Pass joined Hardknott, Bwlch y Groes and Buttertubs in my List Of Big Passes What I Have Mainly Pushed My Bike Up. I did eventually crest the summit (picture) which is conveniently marked with an Inn. Then it was a glorious long downhill (one of several today) all the way to Patterdale and the youth hostel. I stayed here in April when I walked the Wainwright Coast to Coast. Comparing the two experiences reminded me why I like walking but I love cycling. Downhills – especially this one, down Patterdale and surrounded by awesome fells – are far more fun on a bike.